The Android Wear watch comes in two sizes to fit both ginormous wrists and dainty ones. Small wrists, rejoice! Asus announced that the Asus ZenWatch 2 will be available in two sizes when it arrives in the US next month to fit both ginormous wrists and dainty ones. The watch had been previously teased at Computex earlier this year, though Asus is now offering more details. The ZenWatch 2 comes in two flavors: a “regular” version with a 1.63-inch AMOLED display and 400mAh battery, and a smaller version with a 1.45-inch display and 300mAh battery. Both watches feature the same Qualcomm Snapdragon 400 processor, 512MB of RAM, and 4GB of storage. They’re also both water resistant and offer Wi-Fi support, as well as fast charging capabilities. 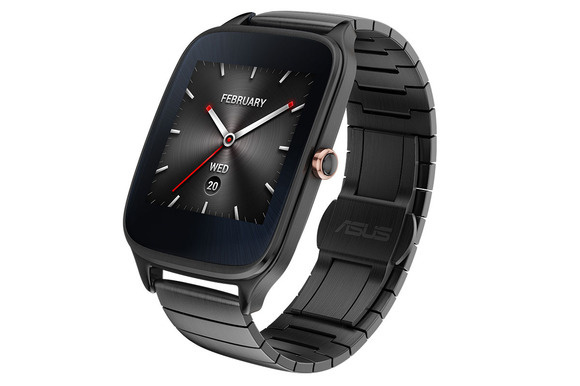 Asus says both watches can charge up to 50 percent in just 36 minutes. 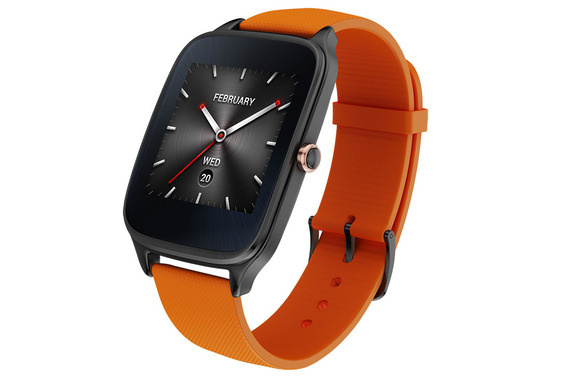 The smaller ZenWatch 2 with a sportier silicon band. Asus will separately offer a variety of watch straps, including a sportier-looking silicone band and a masculine-looking gunmetal one.You can pair each with one of the 50 different ZenWatch faces, three of which are widgets, or customize your own with the FaceDesigner app. The company has not confirmed whether the 18 varieties shown off earlier this year will make their way to the U.S.
Like its predecessor, the ZenWatch 2 is a stylish Android Wear watch that seems more fitted for the fashion-conscious male than anyone else. It’s nice that the company thought of smaller wrist sizes, but the watch hasn’t changed much aesthetically to appeal to a wider audience. 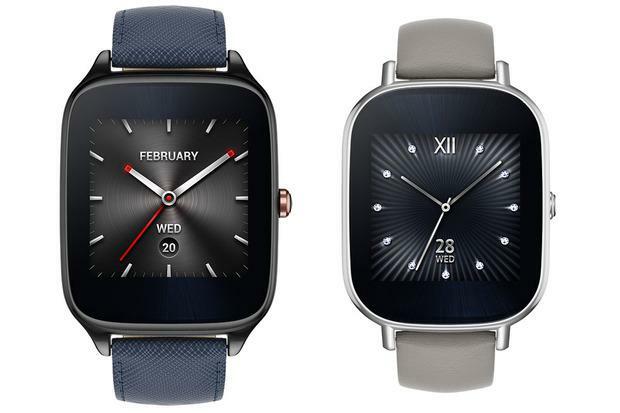 The regular-sized ZenWatch 2 will cost €170 ($190 USD), while the smaller one will go for €150 ($170). Both watches will be available in October in the US. We’ll have an in-depth hands-on with both devices up soon, so stay tuned.